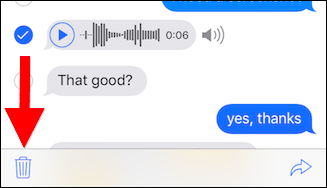 Do you send and receive audio iMessages on your iPhone (other than by accident)? 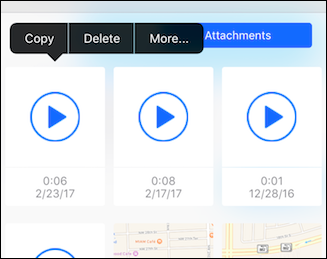 Normally, audio recordings sent through iMessages last for two minutes, but if you’d like to keep them, there are two ways to do so. First, you can keep any given audio message manually by tapping the little “Keep” button next to them. If you do, your iPhone won’t delete it without your say-so. 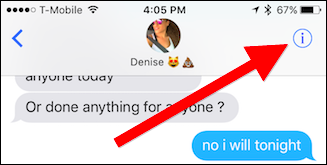 However, if you don’t want to tap the “Keep” button every time, you have another option: you can keep all messages by default by changing a simple Messages setting. First, open the Settings app and then tap “Messages”. From there, scroll to Audio Messages and tap “Expire”. 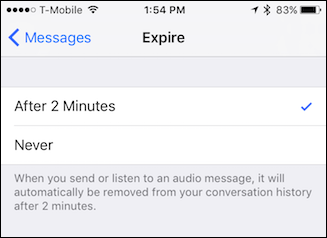 You can now set audio message to never expire. Whenever you do keep audio messages, they’ll inevitably become lost behind all the newer messages you receive. You don’t want to have to scroll and scroll to find them. Thankfully, there’s an easier way. Tap the “i” in the upper-right corner of the message window. Then tap “Attachments” and you will find all your kept audio clips. 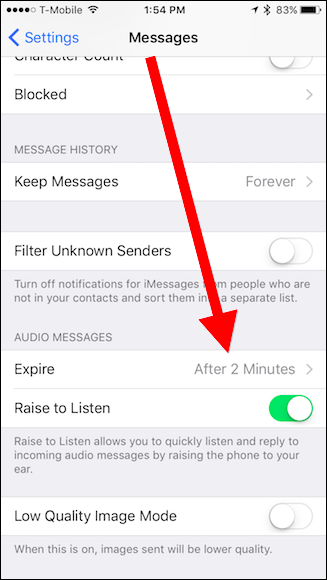 While flipping that setting will technically keep audio messages forever, if you have all your messages set to delete automatically after 30 days or a year, audio messages will also be erased as well. Remember that all audio messages you keep will take up storage space. The best way to circumvent these problems is to delete the ones you don’t want and to save the ones you do. 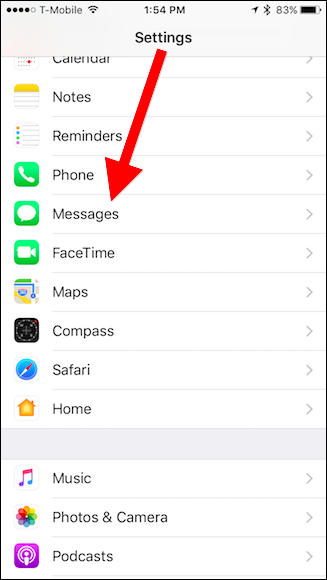 While you can leave your audio messages in iMessage itself, it’s a little easier to save them to Voice Memos for later—especially if you have messages set to delete after a certain amount of time. To do this, long press on the message, and from the resulting context menu, tap “Save”. You won’t receive any kind of confirmation it worked. 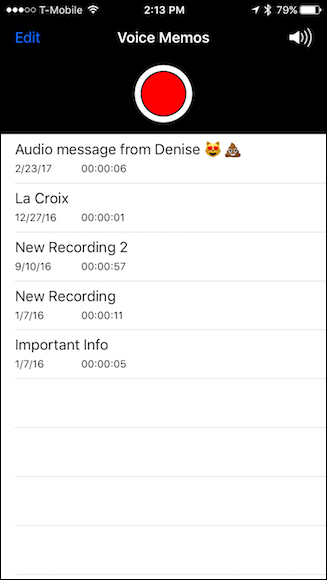 Instead, the audio clip will appear in your Voice Memos playlist. 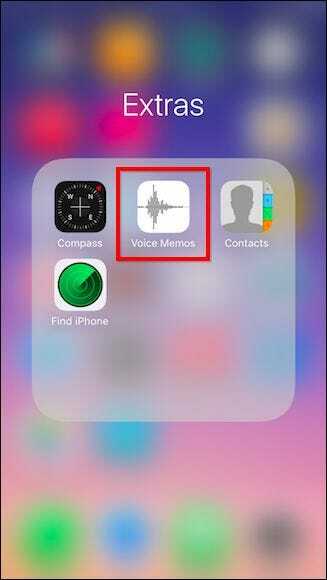 Voice Memos can be found on your home screen in the Extras folder. 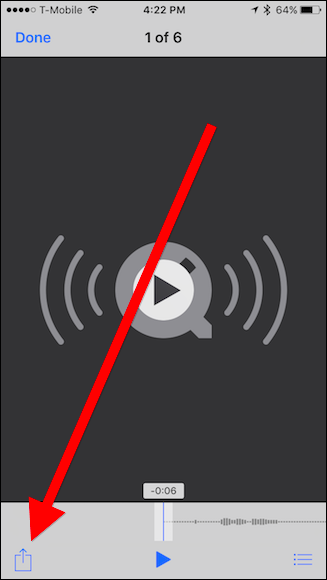 To delete any audio clips from the Voice Memos app, tap the “Edit” button in the upper left-hand corner and then tap the red minus button next to each clip you don’t want. Then, tap “Delete”. When you’re finished, tap the “Done” button in the upper-left corner. Remember the attachments screen we showed you at the end of the first section? 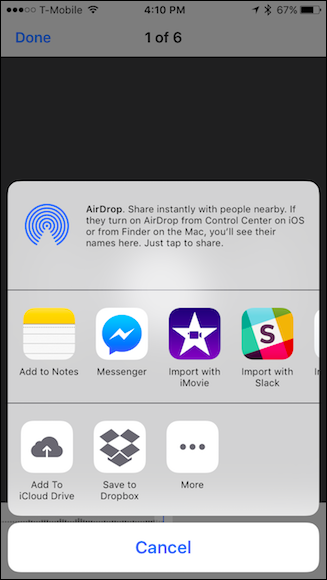 When you play a kept audio clip from that screen, you can also share it to other people or apps there. 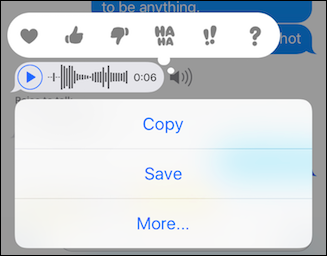 (This is particularly useful if an audio message is buried in a thread, but you want to save it to Voice Memos). 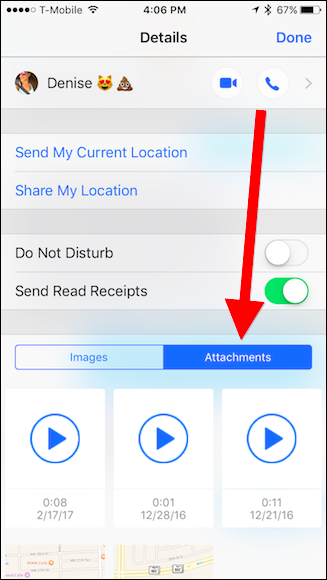 To do this, first open the attachments screen and tap one of your audio clips. Next, tap the Share button in the lower-left corner. Then, share the file wherever you want. 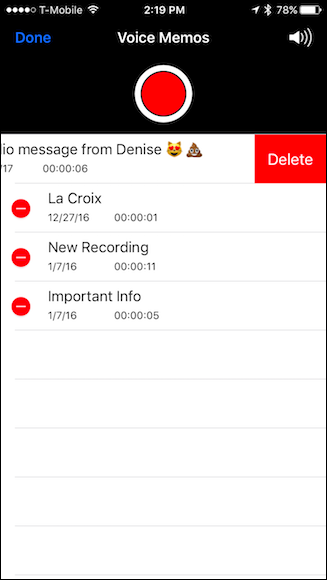 While this method gives you a lot more options than saving them to Voice Memos, it is also quite a few more steps. 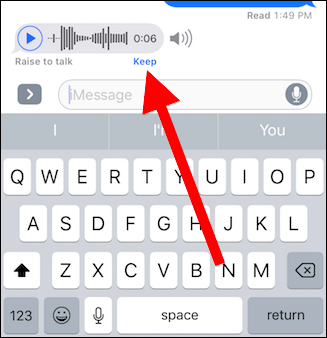 Lastly, if you want to manually delete an audio message from the iMessage app, long-press on the message until the context menu appears from the bottom. Then tap “More”. Now, just select the message you want to delete and tap the trash icon in the lower-left corner. Finally, confirm you want to delete the message. To delete an audio clip from the attachments screen, place and hold your finger one until the black context menu appears. Select “Delete” to delete a single attachment. 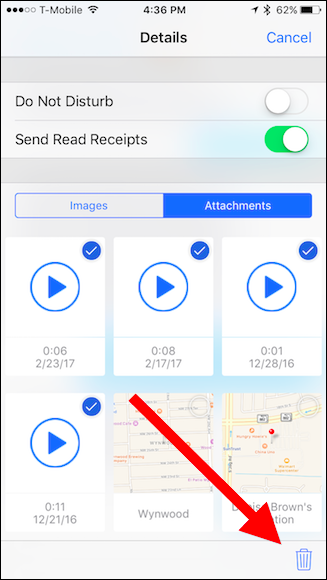 Tap “More” to select multiple attachments and tap the trash icon to delete them. This at least gives you more control over which audio messages are actually kept and which are discarded, especially when used in conjunction with the never delete setting.